More fabulous layouts featuring the Home for the Holidays Collection. We have had so much fun watching you all SHARE these awesome projects, we are talking about giving away more then a few sets...don't you think? Remember post a link on Facebook, share on Instagram or Pin to Pinterest. We're off to Scrapfest this weekend...so stop by and say HI too!! I so adore this collection, it makes every project unique!! I pinned. 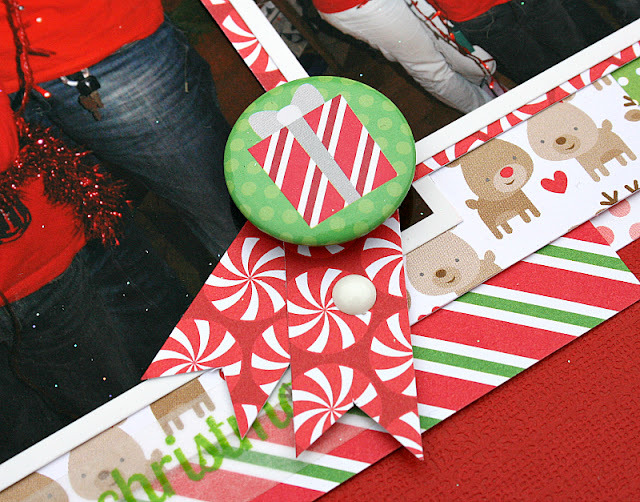 so fun and festive pinned proudly!! The more I see, the more I love!!! I can't tell you how much I love this collection. Hoping my LSS has it when I go shopping this weekend. Another great group of layouts! 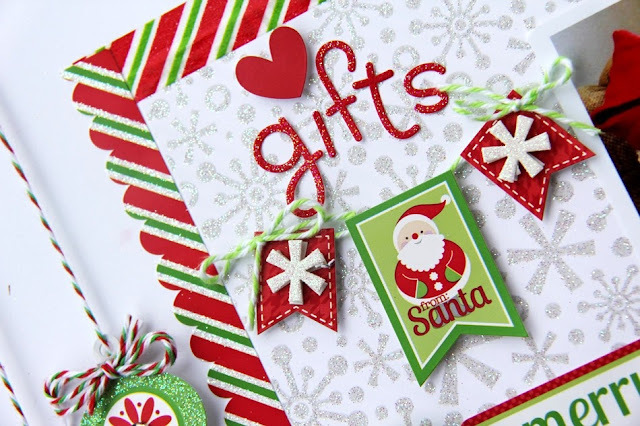 I do love the red and green shades in this collection! Just perfect - have to get it! Fantastic layouts! I pinned them both! Cute layouts! 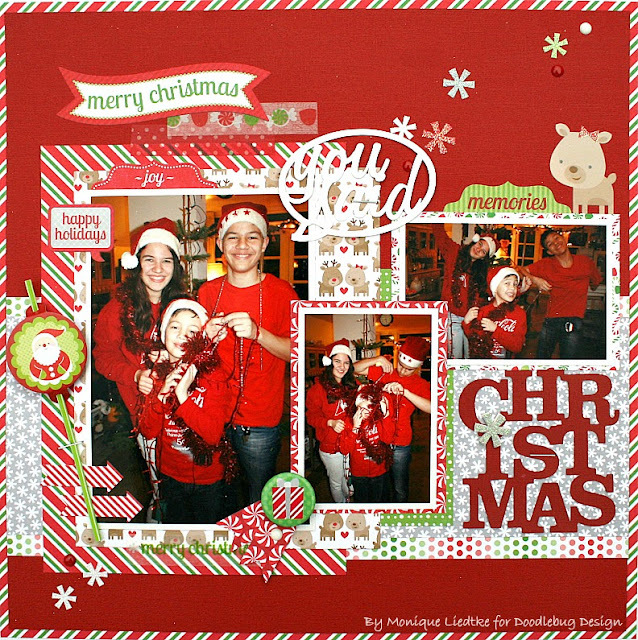 Love the hanging ornaments, one of my fav things to do on layouts. Great job, those doodle pops really make an impact. Love your Halloween Parade, then even more love for Happy Harvest, and now Home for the Holidays! Oh my ..... Doodlebug is incredible!!! Love the layouts! Awesome details! Cute, cute, cute, and more stinking cute!! Love both of these layouts - this Collection is so traditional looking to me as far as colors and icons!! Love it a ton!! Both Jodi and Monique rocked these LOs! 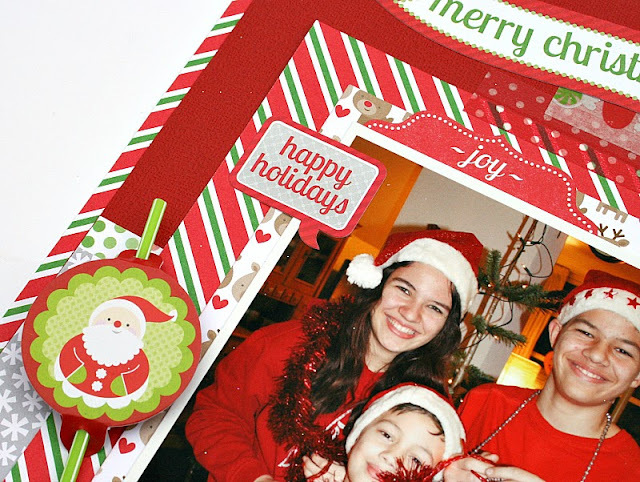 Gorgeous Christmas inspiration. These are both so cheery! Thanks for sharing. Such colorful and happy layouts. Love these Christmas colours! Very bright - especially the red! All these layouts are so merry and bright! Love the layers! Beautiful layouts! The details and embellishments are stunning! Beautiful layouts and a gorgeous collection. Pinned to my pinterest. Sorry.. forgot to post the pinterest page.. Simply perfect!!! ♥ Shared on FB. 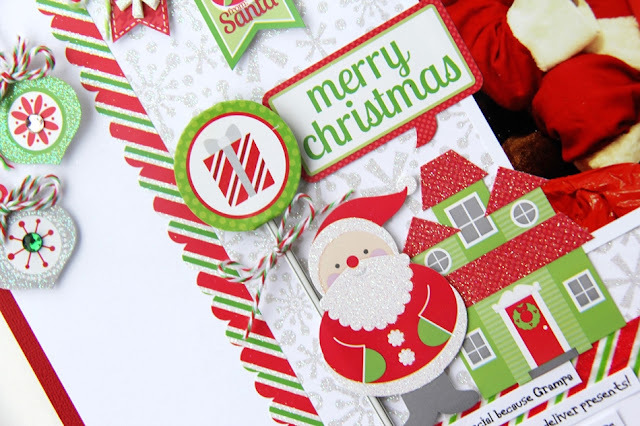 I always love red and green for Christmas layouts! Great ideas! And I shared on FB. Love the happiness of this collection. Great layouts! I Pinned and shared via email!